Appellate Court Reverses Lower Court and DAI’s Practice, Ruling Franchisees Have 90 Days to Seek to Vacate Franchise Termination Awards and that Lack of Notice or Opportunity to be Heard Justify Vacatur of Arbitration Award. In a significant victory for Subway franchisees, the Connecticut Appellate Court reversed the trial court’s decision applying a thirty day deadline for a franchisee to move to vacate an arbitration award terminating a Subway Restaurant franchise agreement. See Doctor’s Associates, Inc. v Susan Searl, et. al. AC 38482 (AC 2018). Doctor’s Associates Inc. (“DAI”) is the franchisor of Subway restaurants in the United States. It is reported that there are approximately 26,000 Subway restaurants in the United States (by comparison McDonald’s operates less than 15,000 restaurants in the United States). The Subway franchise agreements that have been filed with the courts consistently require all disputes between DAI and the franchisees to be arbitrated in Connecticut. The Defendants were franchisees of multiple Subway branded restaurants for many years. In October of 2013, DAI alleged that one of the Defendants’ franchises was in violation of one or more terms of the franchise agreement. On April 3, 2014, DAI filed a demand for arbitration with the American Dispute Resolution Center (“ADRC”). On August 8, 2014, DAI filed an application to confirm the arbitration award in the Superior Court. 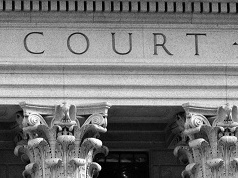 On September 4, 2014, (65-70 days after notice of the arbitration award) the Defendants filed a pleading entitled ‘‘Objection to Confirmation Award’’ without the aid of counsel. In their objection the Defendants explained that they never received notice of the arbitration hearing date. In their objection of September 4, as in all subsequent pleadings, the Defendants maintained that they had meritorious defenses. The Defendants claimed that their franchise was terminated without notice and an opportunity to be heard. On October 3, 2014 the Defendants retained counsel (Alderman & Alderman, LLC) and on that date counsel filed an appearance, an Objection to Confirmation of Award and the Answer and Affirmative Defenses. On October 9, 2014, DAI filed a motion to dismiss the Objection to Confirmation Award and the Answer and Affirmative Defenses arguing that the court lacked subject matter jurisdiction because the filings had not been made within the thirty day deadline established under Connecticut Statute §52-420(b) for motions to vacate arbitration awards. In response, the Defendants argued that under the terms of the franchise agreement, drafted by DAI’s counsel, the Federal Arbitration Act (9 U.S.C. § 1 et seq. the “FAA”), with its 90 day time period for motions to vacate, controlled. On September 15, 2015 (76-81 days after the Defendants first received notice of the arbitration award), the trial court issued its decision in which it refused to vacate the arbitration award on the ground that it was untimely and confirmed the arbitration award. In its decision the trial court adopted the interpretation advanced by DAI and held that under the general choice of law provision in DAI’s franchise agreement, that Connecticut law controlled and, therefore, a motion to vacate filed more than thirty days after notice of the arbitration award was untimely. The Defendants appealed. On appeal the Defendants claimed that the trial court erred because the parties expressly agreed that the FAA ‘‘preempts any state law restrictions . . . on the enforcement of the arbitration clause in [the franchise agreement],’’ and that the trial court should have applied the FAA when determining whether they had timely moved to vacate the arbitration award. The Appellate Court agreed with the Defendants and concluded that the trial court should have applied the Federal Arbitration Act and that the franchisee was entitled to 90 days to move to vacate the award terminating the franchise. The Appellate Court reversed the trial court’s judgment and remanded for further proceedings. “Results Oriented Legal Solutions,” and the stylized “Alderman” are each service marks of Alderman & Alderman, LLC. Attorney Advertising.